Opening hours: Banks 9am - 3pm Mon - Fri, shops open from 10am - 8pm Mon - Sat, malls can stay open later and on Sundays and public holidays. Since Cebu was the first Spanish settlement in the Philippines, the city has a lot of historical attractions to offer its visitors. The large sea port and air hub has also contributed to the modernisation of the city and the urban culture mix with the old heritage. Cebu offers its visitors a unique experience. 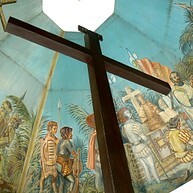 Housed in a kiosk, this iconic and much prized monument marks the spot where the explorer Ferdinand Magellan planted a cross after baptising the first Filippinos, so creating Cebu as the cradle of Christianity in the Philippines. Look skywards to admire the ceiling paintings depicting the historical event. 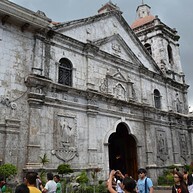 Basilica Minore del Santo Niño was the first Asian basilica, built in 1740. It teems with devotees clambering to catch a glimpse of the oldest and most celebrated religious icon in the Philippines, the Santo Niño statue, presented to Queen Juana of Cebu by Magellan. Built in 1740 as a nucleus for Spanish settlers, this is the smallest and oldest tri-bastion fort in the country. 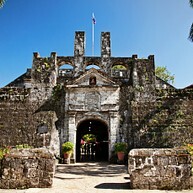 The green setting makes this fine little fort a good place to take a breather from Cebu City’s chaotic streets. Within the bastion is the Regional National Museum, which from Wednesday to Sunday, exhibits artifacts from the San Diego ship wreck. 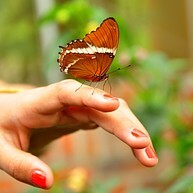 Jumalon Butterfly Sanctuary is a large collection of moth and butterfly species, kept in a lush botanical garden. The artist J.N. Jumalon uses the discarded wings and other everyday objects to create the eye-catching mosaics on display in the attached gallery. 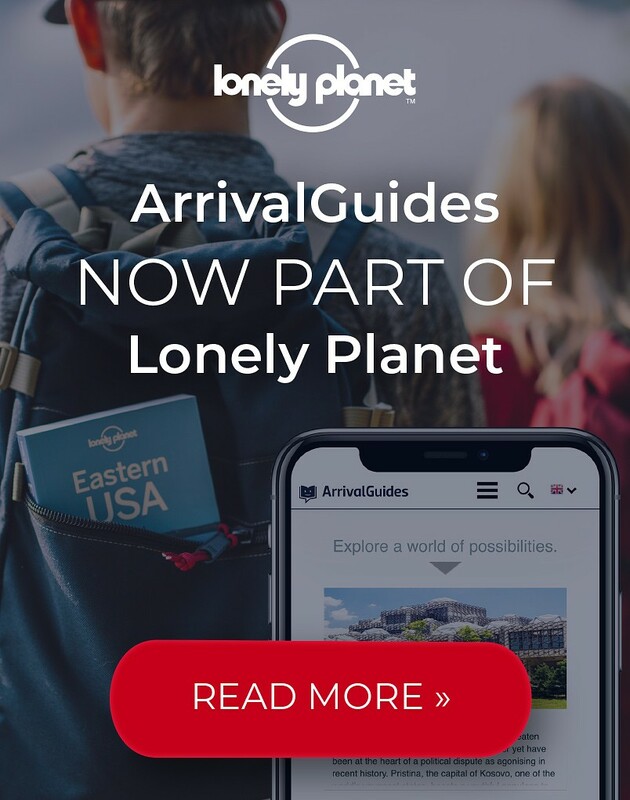 Twice a year during winter and spring, on one of the most important migratory flyways in the world, tens of thousands of birds touch down on this small island to rest their weary bodies. Plovers, red shanks, egrets and sandpipers are just some of the winged visitors that can be seen here. This is a nature park and a smallish zoo hosting crocodiles, birds, lizards and other such creatures that will make the children squeal. In addition on display are some protected plant species. There is also a gift shop and café. Cebu Country Club is a tranquil oasis and popular golf course situated just a few minutes from the heart of the city. It is spread over an area of 52 hectares of former sugar plantations. Your city tour would not be complete without visiting this beautiful temple. 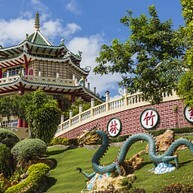 Cebu Taoist Temple was built in 1972 and is located in the upscale area of Beverly Hills Subdivision in Cebu. 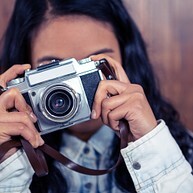 The place is extremely peaceful and offers amazing photo opportunities since it is approx. 300 meter above sea level. The oldest street in Cebu was constructed by the Spanish and named after Christopher Columbus, marked by an obelisk at its northern end. Today, it’s the heart of the city’s downtown district and teems with shopping and entertainment discoveries. The street is glittering during the evening. At the Rizal Memorial Library & Museum, the first floor showcases a collection of antiques donated by the local, famous and rich Cebuano families. Also on display is a collection of classical and contemporary artworks by Cebuano painters and artists. The upper floor is used as a performing arts hall. A tour inside this residence is a brief journey into a Filipino lifestyle from 1860-1920. The historic former bishop’s home features noted paintings, museum relics, a courtyard, antique household items and furniture. Housed in the country’s oldest school, the museum divides its artefacts into four sections, each offering a fascinating insight into life before, during and after the Spanish conquests. You find the museum just right of the main entrance to the University. This museum contains an extensive collection of pre-historic items found in the local area. Remarkable finds include gold teeth, Ming pottery, coins, beads and coffins together with some unique church carvings and accessories.